The Hong Kong Stock Exchange (“HKEx”) has circulated a paper on the Development and Operation of the Growth Enterprise Market (GEM) which was published in October 2005, which follows the market’s development from when the idea of a second board was first formulated to its full implementation and activities up until September 2005. GEM was launched in late 1999, as an alternative market to the Main Board, designed for emerging companies which could raise only a small amount of capital. The full text of the paper can be viewed in the “Research Centre” section of HKEx’s website at www.hkex.com.hk. The following is intended as a summary only of the contents of the paper. Before 1986, there were four stock exchanges which competed for listing candidates. In that year they were unified into a single board to avoid the negative consequences of competition. Attention was turned at once to the idea of a second board, as there were growing concerns over the decline in the number of companies listing and the funding gap for small, growing enterprises and it was perceived that it was necessary to support the development of venture capital in Hong Kong. The Exchange submitted a formal proposal the following year but the stock market crash led to the idea being put on hold. A report by the Securities Review Committee in 1988 considered that there was no need for a second board, since equity was not the primary capital-raising route for the manufacturing industry and expressed concern that lower entry requirements would lead to a decline in the quality of listed stocks. In 1990, a Second Board Advisory Group was set up to consider the establishment of a second board. However, the Exchange modified its listing rules, making it easier to access the existing board in order to promote capital formation in both Hong Kong and Mainland China. In 1994, a profit track record became a necessity for applicants and this sparked a rejuvenated interest in the idea of a second board. Meanwhile London’s AIM and other second markets were being established. This time interest in the idea of a second board in Hong Kong did not evaporate like before, though it was not given a high priority. When in 1997 the government pledged to support small companies and technology businesses, the idea of a second board was given new impetus. In 1998, the Exchange proposed a second market as an alternative market to the Main Board which would have lower entry requirements and be operated with a lighter regulatory touch. It was originally intended to target sophisticated investors by setting a high transaction minimum of $250,000. Later that year the Exchange announced that the market was to be named the Growth Enterprise Market and that the minimum transaction size was to be $50,000. 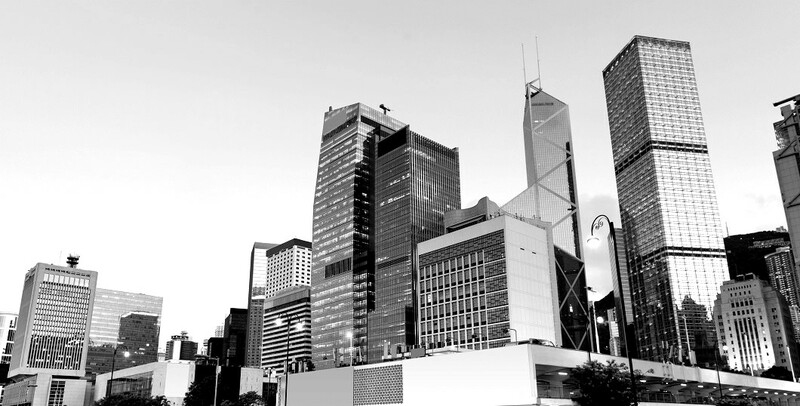 Secure Hong Kong’s status as the unrivalled home market for Mainland China companies. Like AIM, GEM reaped the rewards of the technology boom and benefitted from the growth in e-businesses and i-businesses. The first listing on GEM took place in November 1999. By the end of March 2000, 18 companies had been listed, a number of them engaging in new economy businesses. Furthermore, GEM caught the eye of other companies related to Main board issuers and also attracted interest from Mainland issuers. To compete on the global stage, GEM’s rules were competitive with those of other international markets. In 2001, changes were made to the GEM listing rules which stressed the quality of the market structure and made the disclosure rules more stringent. Initially, a separate department was established for GEM within the Exchange’s Listing Division and it also had its own Listing Committee. However, as the majority of the GEM rules were almost identical to the Main Board rules, it became difficult to ensure consistency in the Exchange’s approach. In an effort to introduce uniformity and certainty to the rules, in May 2003 the listing committees merged. Similarly, the Listing Division was reorganised into a single unit at the beginning of 2004. GEM represented 1% of the market capitalisation of the Main Board, and 0.6% of its turnover as at the end of September 2005. As some GEM companies matured, they could meet the conditions set by the Main Board for listing and sought transfers, leading to the underperformance of GEM stocks in comparison to those of the Main Board. In 2000 and 2001, more companies listed on GEM than on the Main Board. For most of its life, the monthly equity turnover ratio on GEM was higher than that of the Main Board. Due to certain difficulties, mainly delays in the release of price-sensitive information, 14 per cent of the total number of GEM listed companies were suspended for over a month. This compares to only 5 per cent of Main Board companies, the majority of which experienced financial difficulties. GEM was launched to help emerging enterprises with growth potential, creating opportunities for fund-raising. However, the number of newly listed companies has been declining steadily since 2002, as has the amount of funds raised. Turnover has also fallen, as the largest GEM companies have transferred to the Main Board. The above constitutes a summary only of the contents of HKEx’s paper “The Development and Operation of the Growth Enterprise Market”, the full text of which can be viewed in the “Research Centre” section of HKEx’s website at www.hkex.com.hk.